The guys in your life will love this munchie. Bake the meatballs per the package instructions, as many as you would like to make. Cut American Cheese into pieces to melt over the tops of the meatballs as they bake. 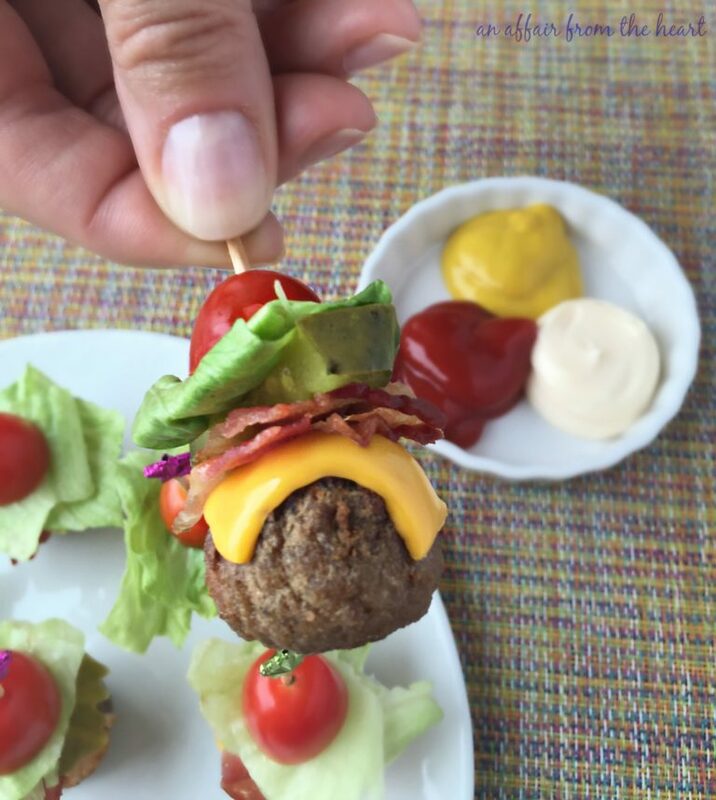 Stack your toppings onto toothpicks; Tomato, Lettuce, and Bacon. After meatballs are done cooking, add a slice of cheese on top to melt. 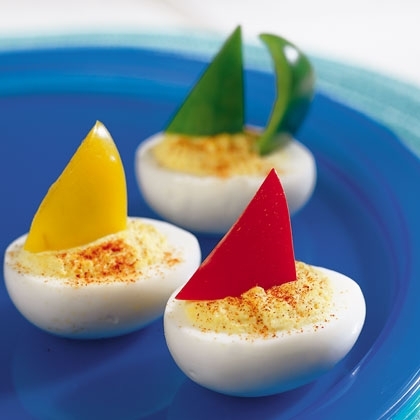 Add meatballs to end of toothpicks and serve with a variety of condiments. 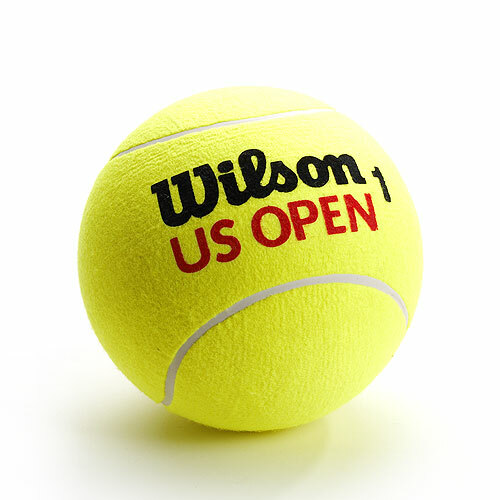 US OPEN Tennis Party – why not? US OPEN Tennis Party – why not? This and Wimbledon are two of the biggest tennis events of the year. We party for the Super Bowl, so let’s party for the US Open. During this week’s blogs, you will see simple ideas to make the party themed for the event…….some decorating and food ideas. Enjoy! 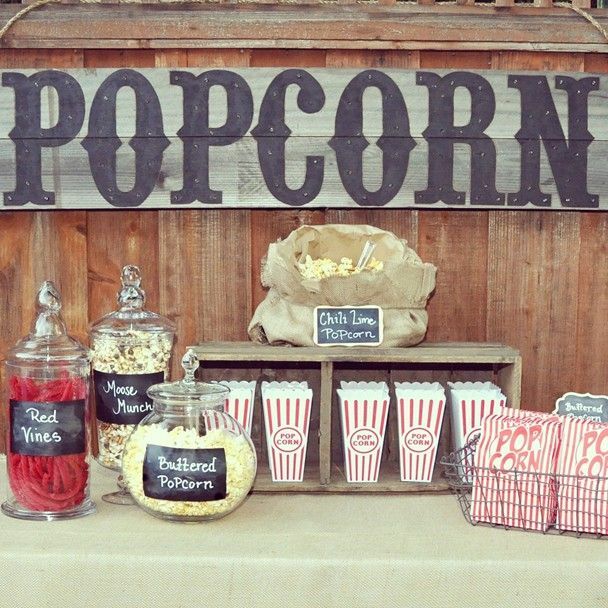 Outdoor Movie Night – Themed Party Week! Before all the summer heat goes away and you completely fall back into the routine of having the kids going to school, why not plan an outdoor movie night? You might have to come armed with bug spray just in case, but it is a great get together idea for family night! Bring a charged laptop outside to watch Netflix or rent a projector to play your favorite flick. Popcorn can be made inside the house (that already saves you about $10 at the theatre). What my family does is save Cool Whip bowls to use as Popcorn Dishes during family night. They are the perfect size and easy to carry multiple at a time! If you are interested in a Movie Night, but unsure about having enough room in your backyard, call us at the B&B Country Garden Inn and we can set up an evening for you! Keep checking back this week for more information and ideas for this themed party idea!